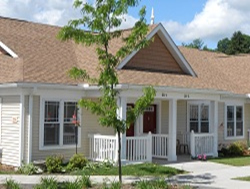 Liberty Cottages in Liberty, PA now has an immediate opening for a one bedroom accessible apartment. Applicants must be 55 or older. Rent is $567.00 per month plus electric. Income limits are $21200.00 for a one-person household and $24200.00 for a two-person household. Upon signing a lease the tenant is eligible for rental assistance thru our Housing Choice Voucher Program. To apply please see our Developments Page – Tioga Public Housing-Liberty Cottages for additional pictures and a printable application or call 570-638-2157 or 570-638-2151 for more information.